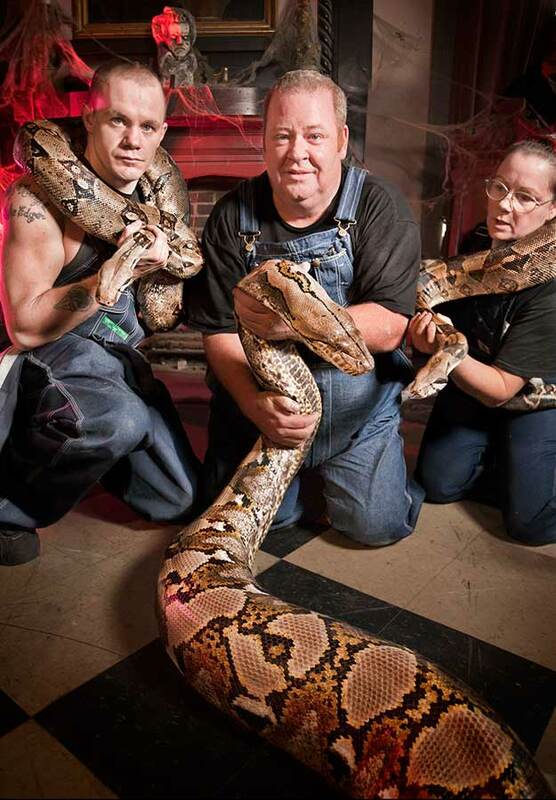 The longest snake - ever (captivity) is Medusa, a reticulated python (python reticulatus), and is owned by Full Moon Productions Inc. in Kansas City, Missouri, USA. When measured on 12 October 2011, she was found to be 7.67 m (25 ft 2 in) long. Medusa also holds the current 'Longest Snake - Living (captivity)' title. In Kansas City, Missouri, USA, those who look directly at Medusa may not do that – but they certainly come to a stone cold stop. That’s because the Medusa you find at the city’s Full Moon Productions isn’t some mythological figure of yore. It’s the longest snake ever in captivity. 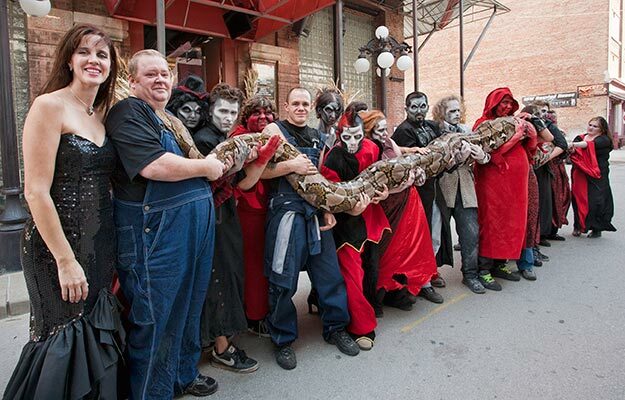 Medusa, a reticulated python, clocked in at 7.67 meters (25 feet, 2 inches) long in its official world record measurement, on October 12, 2011. Reticulated pythons – named as such because of the grid-like pattern of its skin – are on average the world’s longest snakes, but adults normally grow an average of between 3-6 m (or, 10-20 ft). But there is nothing normal about Medusa. The 10-year-old snake required 15 men to hold her at full length in order for her record measurement to be taken, and her diet consists of a combination of rabbits, hogs, and deer served biweekly. She’s been known to eat a whole, 18-kg (40-lb) deer in one sitting. Medusa herself weighs 158.8 kg (350 lbs). Reticulated pythons primarily populate southeast Asia, Indonesia, and the Philippines and are also known as great swimmers. In 1912, a specimen shot in Sulawesi measured a jaw-dropping 10 m (32 ft 10 in). However, unlike Medusa, the unnamed animal was never kept alive in captivity. Medusa is currently housed at “The Edge of Hell Haunted House” in Kansas City. Her handlers say she can actually tell when it’s “showtime” for patrons, as she will go into what they call performance mode. During this time, Medusa will stay completely still for those passing by to get a full glimpse of her in her record-stretching glory. For those passing through the American Midwest, Medusa is surely a showstopping addition to any itinerary. A helpful hint: she is known to purr like a cat when she’s happy and hiss when she’s angry. Considering the size of this incredible creature, we recommend slithering away yourself if the purring ever stops. 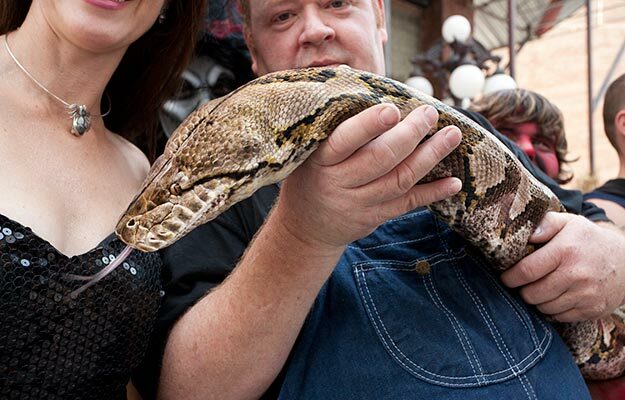 The previous record holder was reticulated python (Python reticulatus) Fluffy. When measured on 30 September 2009, she was found to be over 7.3 m (24 ft) long. Fluffy sadly died at the Columbus Zoo and Aquarium, Powell, Ohio, USA, on 26 Oct 2010 due to an apparent tumor. She was 18 years old and still 24 foot long. Check out a video of Fluffy below.